The South Side had a bad rap in the mid-70s, but Michael Abramson never had anything bad happen him. In fact, people were generous, good, and gregarious as anywhere else. He was a real participant, not just a fly on the wall. For Michael, the nights began after 10 o’clock and usually ended around 2 a.m. He was always trying to figure out how he might improve the images technically, Shooting with a flash in the dark clubs produces a very contrasty shot, with limited background detail. Exposing and developing differently, and adding another light, opened up the photographic possibilities. Armed with his camera, he was open. Michael was there to take pictures, but the experience itself turned out to be more exhilarating than any image. 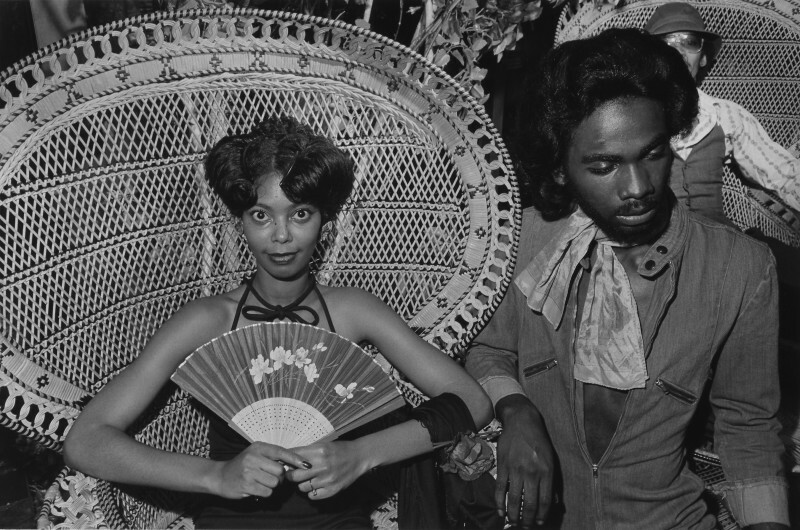 Michael L. Abramson (1948-2011) was an American photographer best known for his striking series of black and white photographs from the mid-1970s documenting the nightlife of black clubs on Chicago’s South Side. Though the time and place differs, their mood recalls the night life captured by Brassaï in the clubs of Paris during the early decades of the 20th century. His nightlife photographs from the 1970s earned Abramson a grant from the National Endowment for the Arts in 1978 and eventually resulted in a beautiful hardbound book, Light: On the South Side, housed in a slipcase along with a 2 LP set featuring Chicago blues as heard from the stage and the jukebox (Numero Group 2009, Grammy-nominated). His photographs can be found in the permanent collections of the Smithsonian, the Art Institute of Chicago, the Chicago History Museum, the Milwaukee Art Museum, Madison Museum of Contemporary Art, the Museum of Contemporary Photography in Chicago, and the California Museum of Photography.